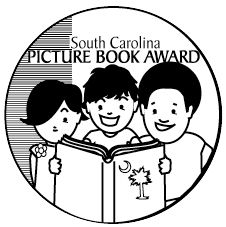 Each year the SC Association of School Librarians selects 20 book nominees for best picture books and children's books. The books on the 2018-19 list are fabulous and you won't want to miss any of them. In February of the school year we will be voting on our favorites. The Anderson County Elections Office will come to our school with the same voting machines that are used in elections across our state on all election days. Voting is a big deal across our school and a wonderful opportunity so it is important to make sure you've at least read the minimum number of books to be eligible to vote. Even if you don't read each one though, make sure you read at least 5 in the Children's Book Award category (grades 3-5) or 8 in the Picture Book Award category (grades K-2) so you will be eligible to vote!